Moving away from rank and file Renegades, this week I focused on my Word Bearers champions, also known as the “Learned Sons”. 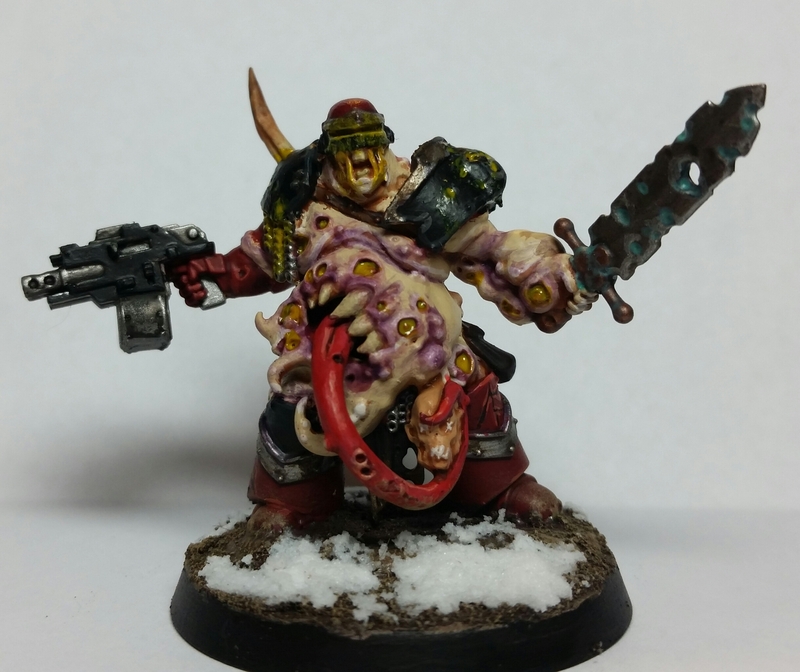 A vast majority of how I chose to paint these models was inspired by Warhammer TV’s How to paint Word Bearers (Horus Heresy), How to paint Putrid Blightkings and How to paint a Maggoth Lord” videos. The red and black sections of armor on these models was done the same way as how I did them on my standard Renegades, however, they were instead washed with a 50/50 mix of Druchii Violet and Lahmia Medium instead of Nuln Oil. The metal was done the same way, but layered over with Ironbreaker and given a smear of Typhus Corrosion. For their skin, the only difference I made from the Blightking series is that I opted for my third layer of paint to be Flayed One Flesh. My bases were done using Stirland Battlemire, dry brushed with Steel Legion Drab, then with Zandri dust, with Valhallan Blizzard being placed in patches on the base, finishing off with painting the rim of the base Abaddon Black. I had also taken some time into the making of my custom center piece model. 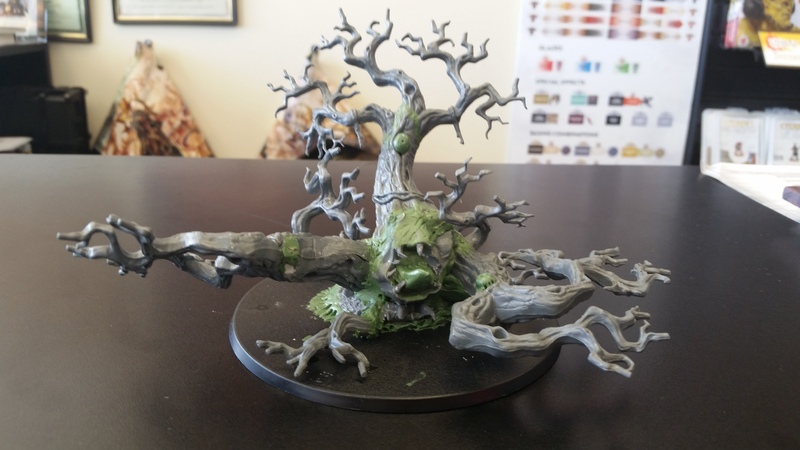 Inspired by artwork from my favorite Forgeworld tome Tamurkhan: Throne of Chaos I made a Greater Great Unclean One from a box of Citadel Woods and nearly an entire pack of green stuff. The making of this model was a lot of trial and error at first. Trying to create a solid center of mass was key, eventually being achieved through careful placement and reshaping of the trunk pieces to form a makeshift skeletal structure that was quickly packed with green stuff. The rest was very unplanned, testing poses and placement of certain parts untill I was satisfied. From then on it was adding boils, teeth, tongue, and aeyeballll made from green stuff to finish the model. 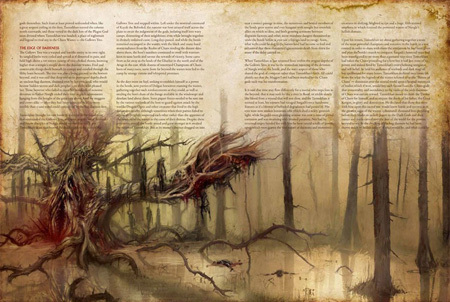 Originally, my plan was to have my tree accompanied by three individual trees converted into Chaos Spawn but plans have changed. 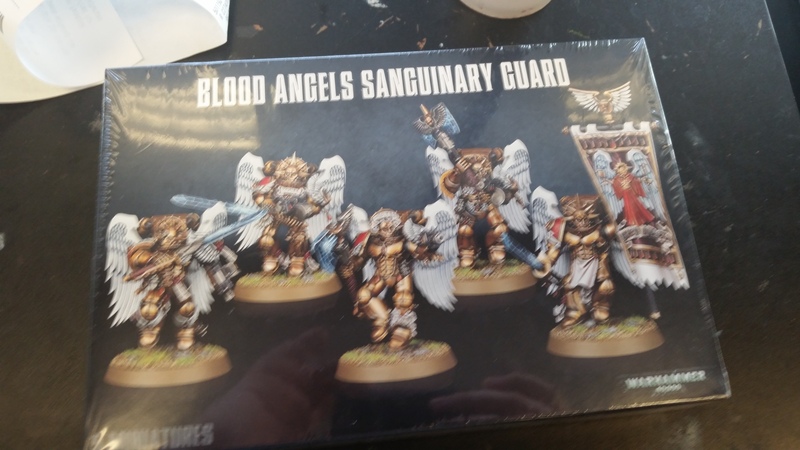 I exchanged that idea and have now begun the process of making independent characters from a box of Sanguinary Guard. 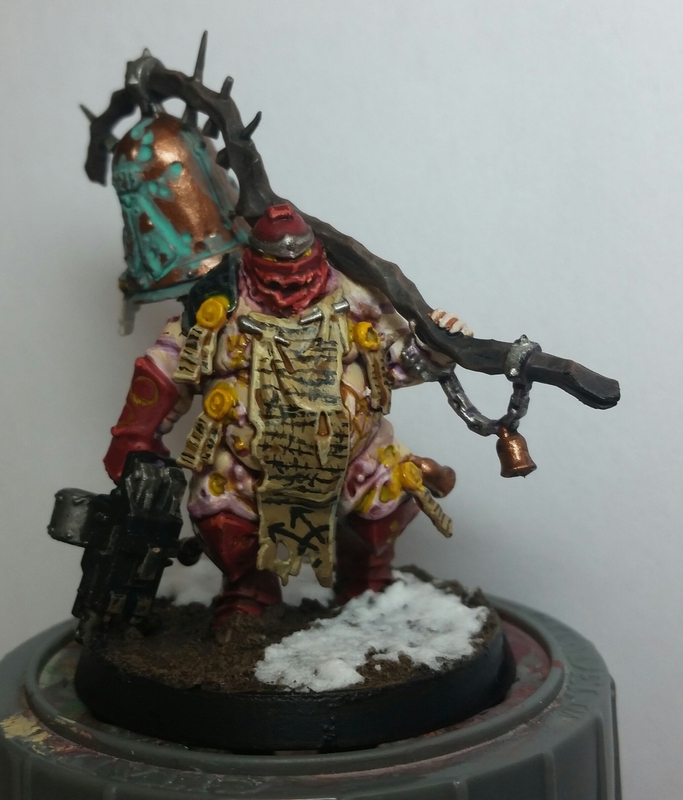 The key will be removing all semblance of Blood angel allegiance from them and turning them into corrupted angelic caretakers of this Great Unclean One. There are still two more Learned Sons to be finished and I satisfied with the conversions, especially once paint has been applied to them. It’s always great to convert a model heavily , see the end product, and almost forget it was converted at all.